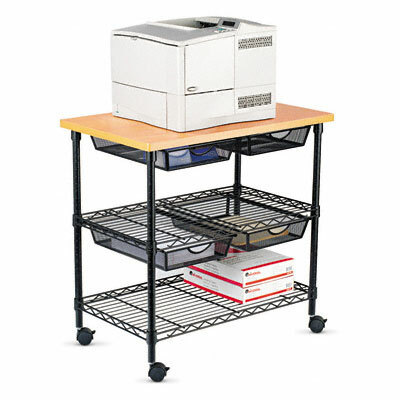 Durable top supports printer or fax machine. Durable top supports printer or fax machine. Shelves provide ample storage. Wheels enable mobility with ease.